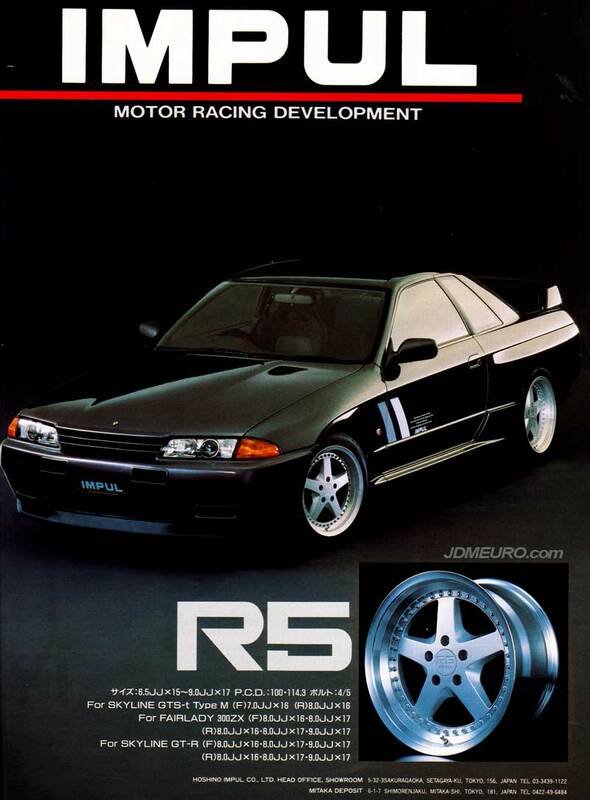 The Impul R5 is Impul’s 5 Spoke JDM Wheels entry of the 90’s. At the time, just about every wheel manufacturer had a multi piece 5 spoke step lipped wheel with exposed bolts; Work had the eqiup, Racing Hart had the Revs, BBS had the RF etc. The Impul R5 is a 2 piece wheel and is actually manufactured by Enkei. Pictured are the Impul R5 mountef on a R32 Nissan Skyline GTR.